We are different. With the recent NSA surveillance affair, many users are concerned about their data on smartphones and tablets. One possible solution: Operating systems from independent developers. We looked at some of these systems (Jolla Sailfish, Ubuntu Touch, Cyanogen Mod and Firefox OS) and tell you who can benefit from a change. Android is the unrivaled number one among mobile operating systems: In many studies, the OS currently has a worldwide market share of more than 80%. In combination with almost 12% for Apple's iOS and 2.7 % for Microsoft's Windows Phone, almost 95% of all smartphones are currently equipped with software from just three American companies. And the situation is not that different for tablets. The numbers are at least daunting and many users will ask the question what are such big companies doing with the billions of data records about users and their usage that they collect every year? Mr. Snowden showed us that the American intelligence services could use them. But many users are not satisfied with the usage by the companies themselves, including advertisements. The operating systems from Apple and Microsoft in particular are suspicious since both use a "closed source", which means the code is kept a secret. Google chose another path and disclosed a large part of the code, so experts can search for weaknesses. However, there is the criticism that, for example, drivers and firmware for devices are not open source and the Google Play Store can install and delete software compulsorily. 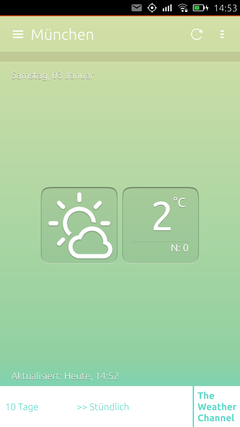 · Jolla Sailfish OS: Founded by former Nokia employees to continue the discontinued operating system MeeGo. A dedicated smartphone is already on the market, but it is also available for popular Android devices. · Firefox OS: From Mozilla, the creators of the popular browser Firefox. Firefox OS is completely realized with web technologies and has been on the market since 2013. · Cyanogen Mod: Basically just a modification of Google Android. A large community implements new features in Google's original Android code and also publishes this improved version for older smartphones. 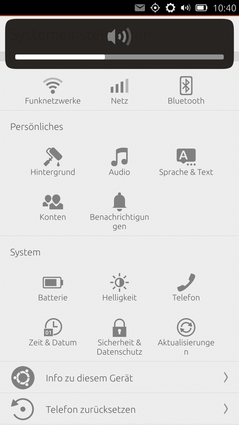 · Ubuntu Touch: Mobile version of the popular Linux distribution. At this stage primarily designed for business users that already use Ubuntu on the desktop, but thanks to its fast access to multimedia contents, it could also be interesting for private users. We evaluate the handling and the customizability of the user interface for the rating, but the best OS is worth nothing if popular apps are not available, so the variety in the corresponding App stores is also an important factor. Security aspects round off our evaluation. We installed all operating systems on a rooted Nexus 5. The versions are: Cyanogen Mod Version 11.0 M11, Ubuntu 15.04 (r1), Sailfish OS 1.0.8.19, and Firefox OS 2.0 (pre-release). 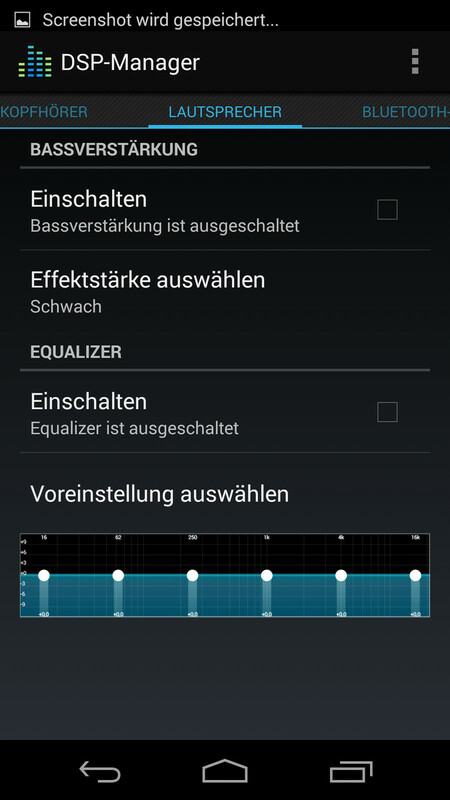 Attention: Rooting an Android device gives you and the apps, access to Android's sub-systems. These are usually protected against accesses for a reason: Malware can quickly damage a rooted device. Installing apps or another operating system on a rooted device can damage it and there can also be problems with the manufacturer's warranty. This means you should really know what you are doing before you root an Android device and you will always do it at your own risk. 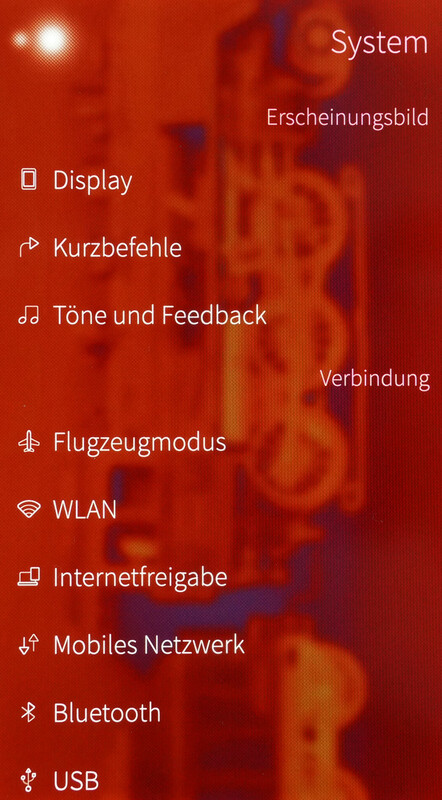 At first glance, you can see that Jolla Sailfish OS is different. The evolution of the operating system MeeGo, which was only used for the Nokia N9, has a completely different design compared to Android or iOS. Structure and handling are very different. You can select your preferred color in the initial setup of the operating system and it has a big effect on the appearance of the system: At first you get a background in the corresponding color, which shines through almost every app as a blurry background. This looks very nice, but it is not always perfect for text readability. You can obviously change the color at any time. Start the smartphone and you can only see four small symbols for the most important apps at the bottom. 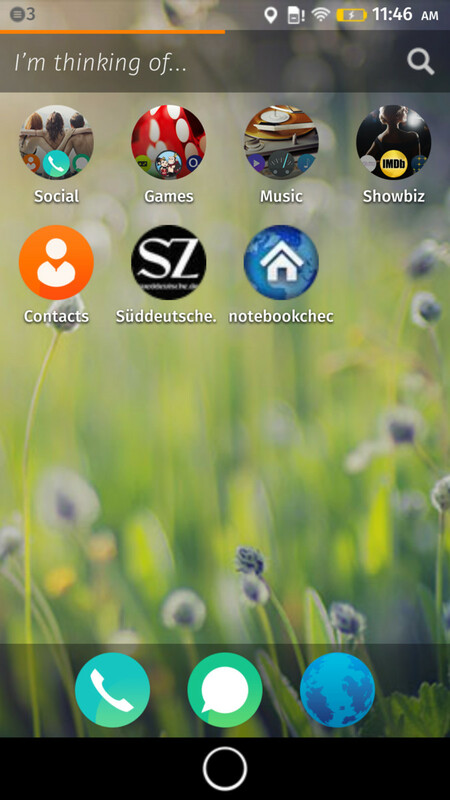 Otherwise, you can see all apps that are currently running and this view is in the foreground of Jolla Sailfish. 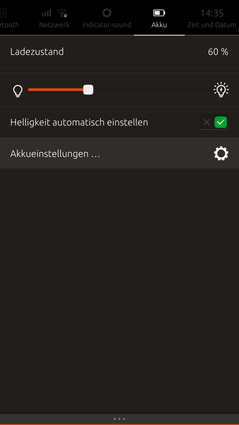 These so-called "Covers" can be used as widgets at the same time and show extended functions; the mail app, for example, shows the time of the last update and the number of unread mails. Start screen, home screen and the overview of all installed apps are lying above one another in Sailfish, which means you can access them with a swipe to the top. Status information like the battery charge or the signal quality is only visible when you slightly swipe to the bottom of the home screen. A swipe from the right side always brings you back to the home screen. The preloaded apps are limited to the basic stuff, but apps for the phone, messages and mails are adequate for daily communication and they are also well programmed. The contacts hub and the picture management look quite nice and functional. 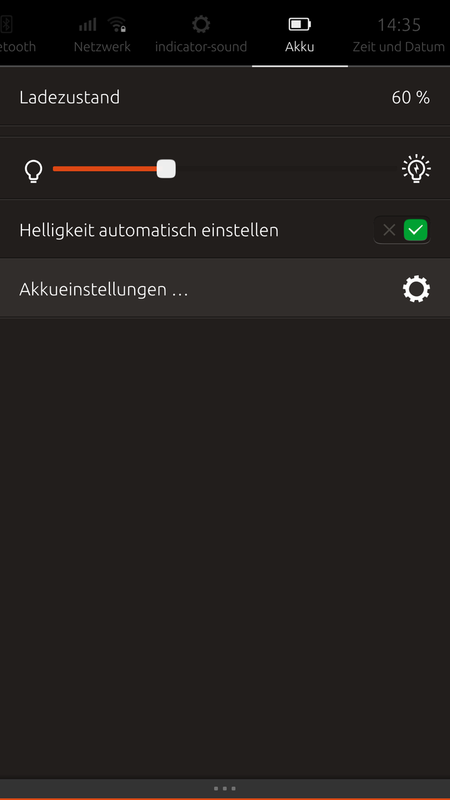 Annoying in the store: Installed apps cannot be opened directly and you will have to scroll completely to the top if the pull-down menu is at the top and you are quite far down in the list. It is possible to use Sailfish OS quickly and intuitively after a short learning period, which is probably a result of the solid foundation of MeeGo. 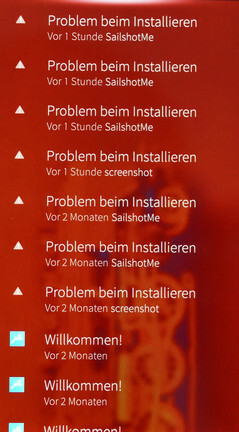 However, there are still a lot of bigger and smaller problems that you will have to live with right now: Apps are sometimes not installed from the store, information about a successful WLAN connection, for example, is hard to find and the smartphone asks for the PIN code of the SIM card after we had already entered a number, which means we have to re-enter the number. 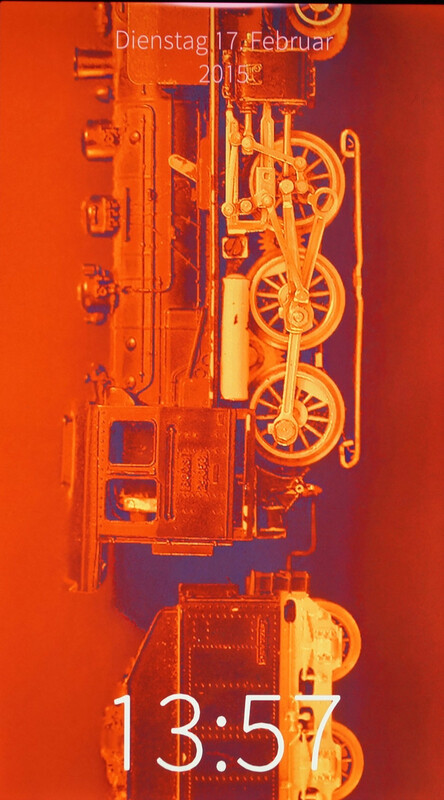 The color you choose at the start is very dominant across the whole operating system. 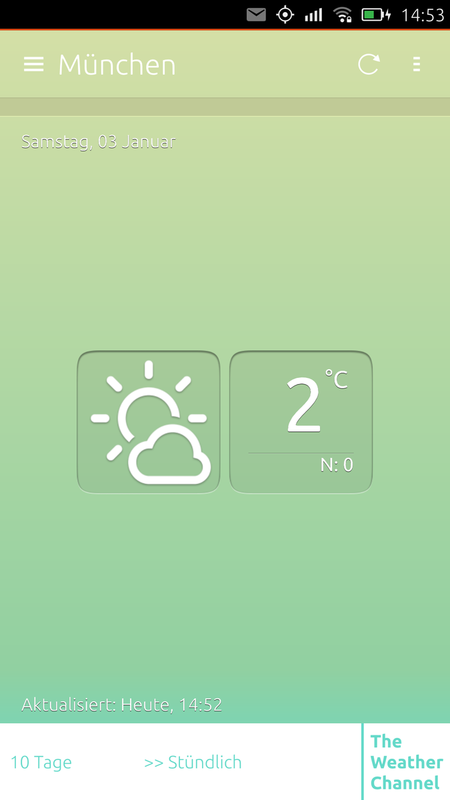 The home screen is, like the whole design, pretty simple but not necessarily functional all the time. The settings are not really comprehensive yet. They do, however, cover the basics. Not many apps are available for Sailfish OS, but you can also run Android apps via emulator. 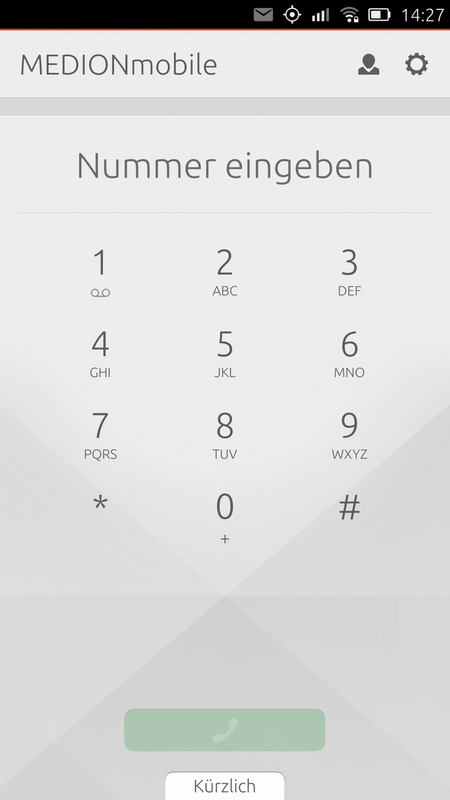 The native app selection is still quite limited in the Jolla store and the number is probably the lowest among our four tested operating systems. The available apps, including the Facebook client "Friends" uses the individual Sailfish OS design and looks quite good. However, as we have already mentioned the design without any control elements can also be rather confusing. 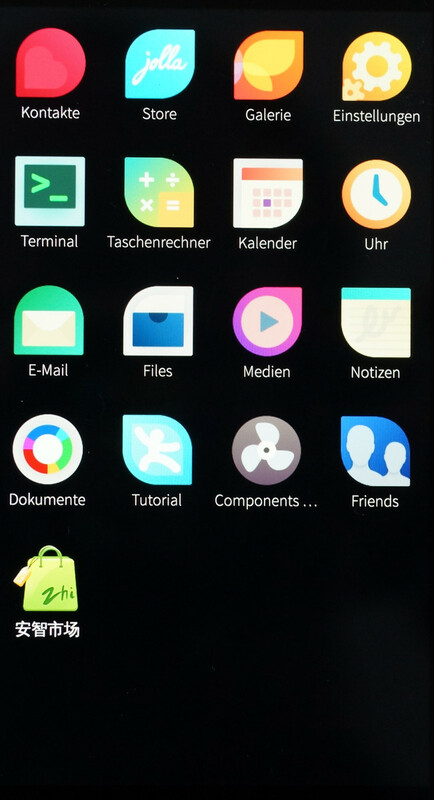 To avoid the limitation of the low number of preloaded apps and the meager choice in the Jolla store, Sailfish OS also allows access to Android stores and its apps, which will run in an emulator. Blackberry introduced this feature for its devices a while ago as well. We have mentioned some issues with this solution in the review of the BlackBerry Passport, which are very similar to Jolla Sailfish OS: Because of the emulator, many Android apps are running slower, are more unstable or even crash. The privacy settings are quite limited: The tab "Security" in the settings just includes the options for a lock and SIM PIN, as well as the installation of software that is not from its own app store. You can at least deactivate the automatic download of pictures in the mail app. Experienced Linux users on the other hand, can access the operating system in the developer mode and activate settings to improve the security. Still, the security aspect is not very comprehensive for "normal" users. Sailfish OS is at least an open source operating system, so everybody can see the code and check it for possible security holes. However, Jolly Oy or Jolla Limited is a Finnish stock company, so economic interests can quickly create a conflict with the data protection. Sailfish OS impresses with its nice design, and individualists can actually take a second look. The system has many good ideas, but it will require some development work until the system is suitable for the masses. The handling is innovative, but sometimes just too confusing, many things are not really polished and the app selection should only satisfy extreme purists that do not use their smartphone a lot. However, if you like to stand out from the crowd and look for a completely new concept for a smartphone operating system, then Sailfish OS is probably the best option. An enthusiastic community has already created some surprisingly professional apps for the most necessary things. However, you will fail to find a simple app for local transports. 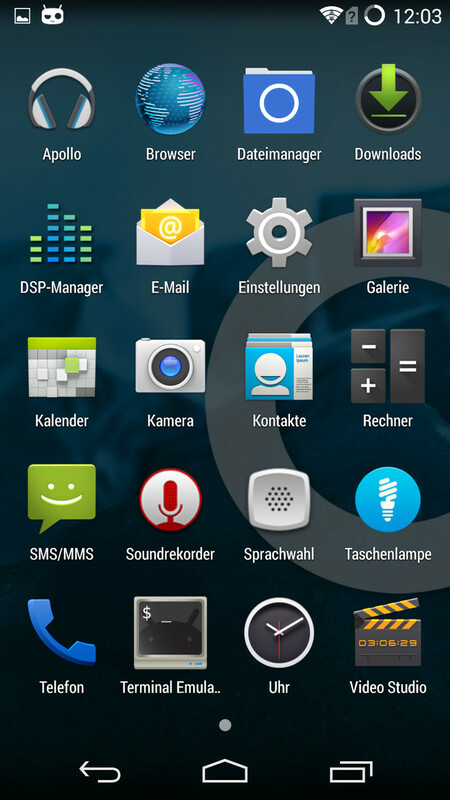 The emulated Android apps are not really a help since they often do not run as intended. Even native apps often have issues with the installation. This means you should not be afraid to try out a slightly unfinished operating system, and the result is a completely new smartphone feeling with Jolla Sailfish. You would also support a European project, and thanks to the good ideas and the great community, we hope we will hear more about it in the years to come. Version 1.0 was released in February 2013, and we reviewed one of the first smartphones with Firefox OS on the German market back then: The Alcatel One Touch Fire. The operating system already seemed to be on the right track, but the list of features was still quite basic and the system was not fully matured. Now we have a pre-release version 2.0 and hopefully there are some improvements, right? The evaluation of the Firefox OS will be interesting. At a first glance, the difference compared to Android is not that big, but the design of the icons on the other hand is quite close to the current iOS versions. 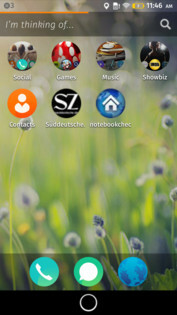 There is a typical home screen where the apps appear as icons, and at the bottom is an adjustable quick access bar where you can launch frequently used apps. A swipe from the top will open the notification center, where you can see all notifications and some quick settings at the bottom that cannot be configured. So far, the experience is similar to Android – users of Google's operating system should not have any problems with the handling. 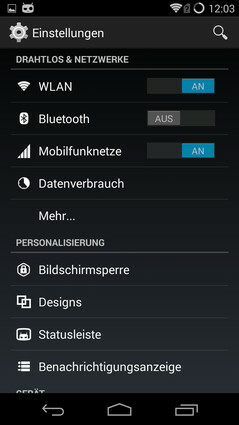 The menu "Settings" is similar to Android as well, but the number of options is much smaller. This does have the advantage of being simpler, but on the other hand, you get more of a basic operating system without many luxurious features. When Firefox OS was first introduced, the search widget on the home screen was a real innovation since the search included the web as well as installed apps. However, this is now more or less standard, so this feature is not unique anymore. 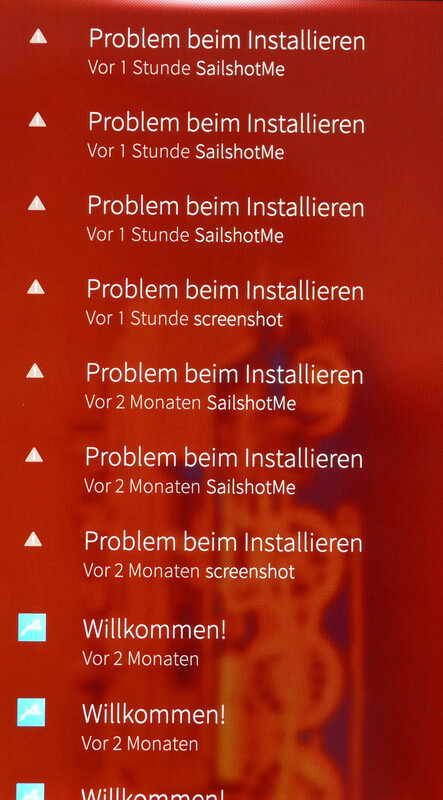 This psychological problem could become one of the issues of Firefox OS. The pre-release version is not yet available in German, and the language support is generally still very limited, even though we expect that this should improve with the release version. 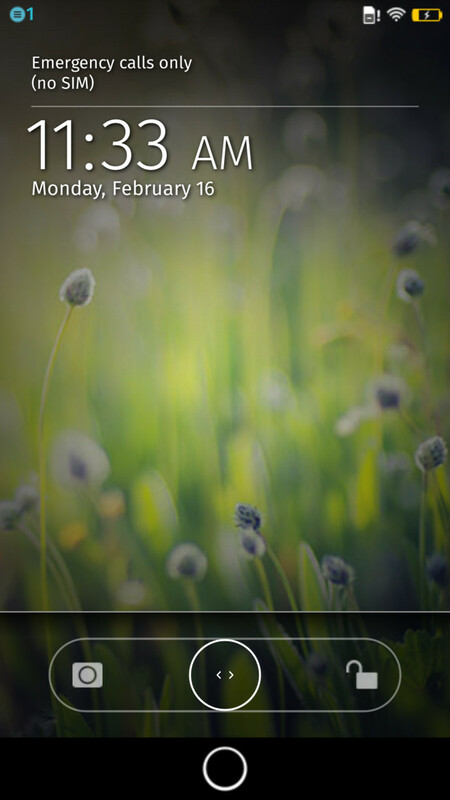 The lock screen is pretty simple and functional. It is possible to search installed apps and the Internet via search field simultaneously. The line between apps and links to websites is blurry. 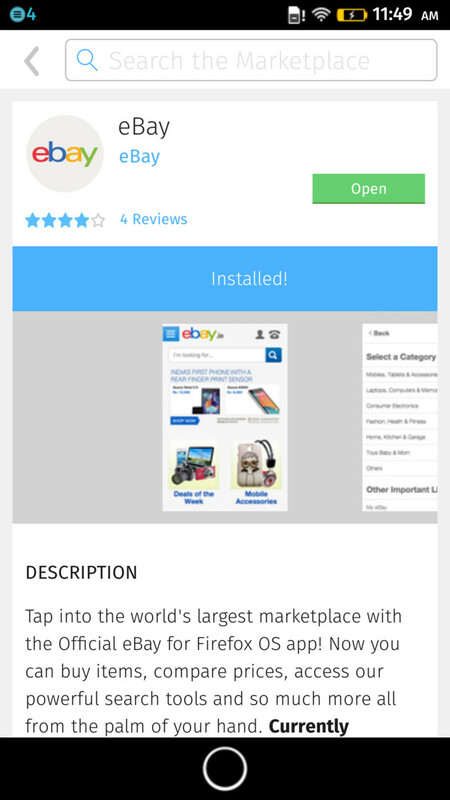 There are not many apps in the store yet, the "Ebay" app only opens the Indian website. Firefox OS manages to blur the line between the Internet and locally installed apps because there is just no visual difference between a link to a favorite from the browser or an app. 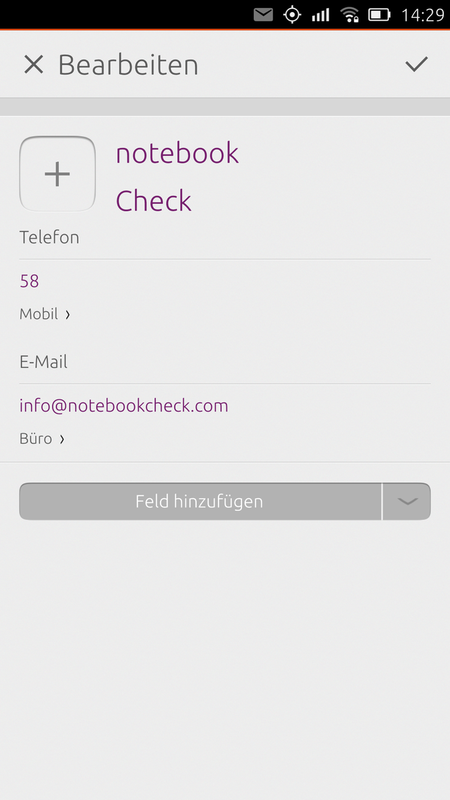 For example, it is possible to create an icon for http://www.notebookcheck.com on the home screen that looks just like an app. There are actually only a few apps that are really installed on the device: Some popular online shops are available as apps, but they quickly turn out to be links to the mobile website. This does not have to be a bad thing: It saves a lot of storage on the device and you would need a connection to the Internet anyway. 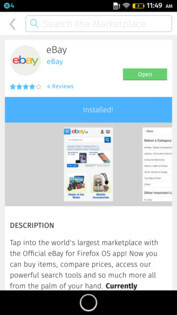 But you still have a somewhat strange feeling when you download an app from the app store, which is called "Marketplace", and is only a simple link. Firefox OS is an open source operating system, which means Mozilla allows users full access to the source code. It is also a certain measure of assurance for the users that Mozilla is not a profit-oriented "foundation", so trading with user data is at least more improbable. However, Mozilla also needs money in the form of donations or from Google, whose search engine was on the home page of the Firefox browser for a long time, so Mozilla is not completely independent. Firefox works with an authorization system that divides apps into three categories: Certified, Privileged and Web. Certified are just a couple of preloaded apps that get comprehensive access to the entered information and the system. 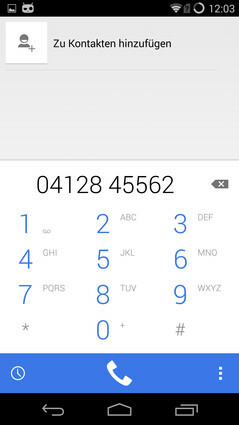 Privileged apps have to be tested first and then get access to, for example the camera API or the contacts. All other apps belong to the category Web and only get uncritical access rights like running in fullscreen mode. Users can also reduce the rights for each app individually. The menu item "Privacy and Security" currently does not have that many options. You can only activate a screen lock when the device is inactive for a certain period of time and whether you require a password to unlock it. This password only consists of four numbers; words or longer numbers are not possible. You can also tell apps and websites that they do not track your activities, but this only works with websites and apps that support this function. There are actually some changes compared to the version that we reviewed over a year ago, but some basic issues that we had with the OS have not improved. The fluent transition between web and apps can also unsettle users, and the app selection in the "Marketplace" is not really great when you ignore the links to mobile websites. The operating system is also supposed to enable inexpensive smartphones for developing as well as emerging countries and there are certainly some positive aspects for cheap devices: Smartphones with Firefox OS do not need a lot of storage because of the focus on mobile websites instead of dedicated apps. The OS is also easy to understand for previous users of Android and iOS, which is obviously a positive aspect for the marketing. But we think the OS would have benefitted from more independence. If you use the smartphone primarily for making calls and sometimes read the news on the Internet, then a smartphone with Firefox OS is certainly sufficient. Even smartphone newcomers will not have any problems with the simple interface and the limited number of options. Technology enthusiasts with programming skill will enjoy the customizability of the system with familiar programming languages. However, you should look elsewhere if you want to have extensive options out of the box. The switch to Cyanogen Mod should be very easy for long-term Android users, since the operating system is actually based on the Android source code that is accessible to the public. The alternative OS is developed by a lively community centered around the developer Steve Kondik, calling himself Cyanogen, hence the name. They are systematically looking for bugs and slowing elements in the program code, and then try to improve these issues. The community also implements its own improvements, such as a system wide equalizer or enhanced data security options. We now have version 11.0 M11, based on Android 4.4.4. A big advantage of Cyanogen Mod is the support for many older devices that do not get updates from the manufacturers anymore. For instance, it is possible to install the latest version of the Cyanogen Mod on the first Samsung Galaxy S which means you can run an operating system based on Android 4.4.4 on a four-year old device that did not even get an official update to Android 4.0. At a first glance, it will be quite hard for most users to tell whether a smartphone uses original Android 4.4 or Cyanogen Mod. The home screen looks exactly like the counterpart of the Google operating system, which is not really surprising when you consider that Cyanogen Mod is based on Google's OS. This also means that the handling is identical for the most part. However, Cyanogen Mod does have a large community that implements new features regularly, and some of these features have even managed to get into a later Android distribution. 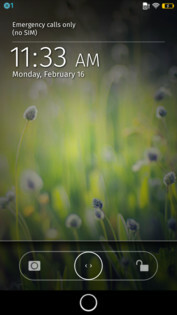 For instance, you have a quick access to frequently used apps like "News", "Browser" or "Phone" from the lock screen. The shut-down menu has been expanded as well and it is possible to customize certain profiles with comprehensive settings like the activation of individual communication modules, predefined alarm times or even settings for the system apps. These profiles can also be stored on NFC tags and easily activated via contact between smartphone and tag. Left-handers will be happy about a specially customized control scheme that can be activated if necessary. The selection cursor can also be controlled via volume rocker and you get the assisted handling features that we know from Android for handicapped people. 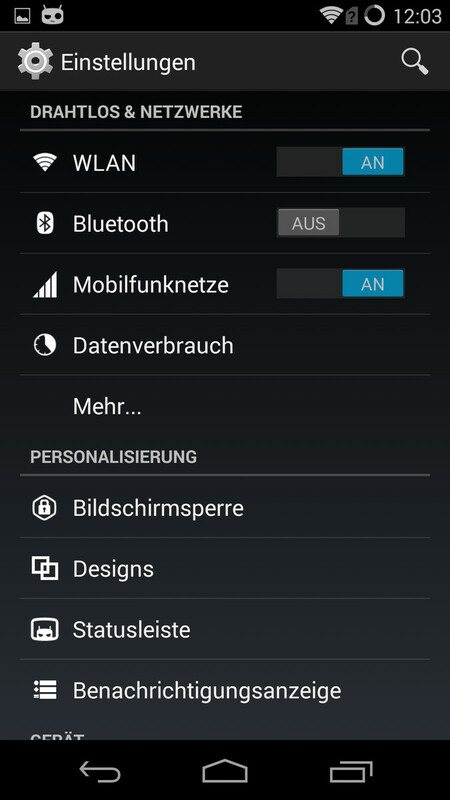 The visual differences to Android 4.4 are small. 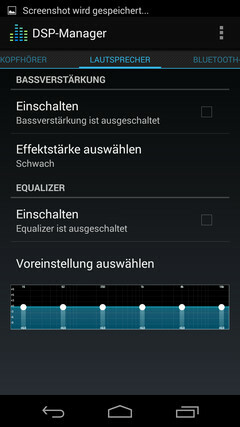 In return you get many enhancements like the comprehensive equalizer. The "Settings" menu is more comprehensive as well. Not a lot changed in the Phone app. 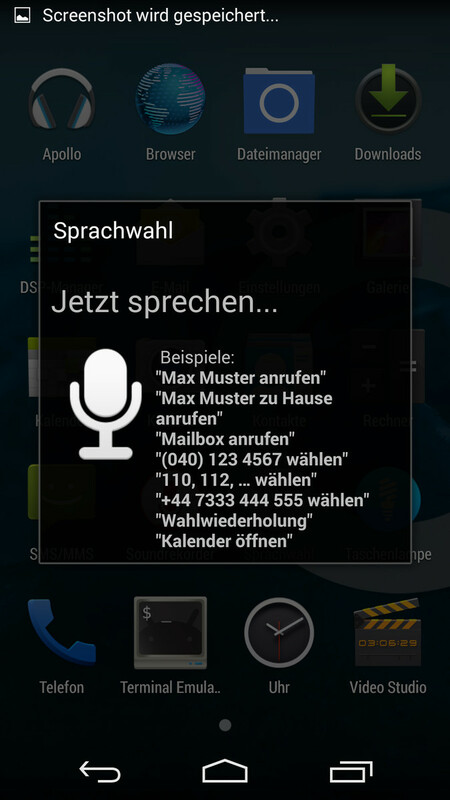 The Google apps are missing, so you get alternatives like the voice control, which is better in English than in German. Cyanogen Mod is the most sophisticated alternative thanks to the close relationship with Android. Due to licensing reasons, Google apps must not be preinstalled and the installation of Cyanogen Mod usually means that you do not want to have the oversight of Google, so it is not possible to access the Google Play Store or the Gmail app by default. However, it is quite easy to install them via the installation package, and you can transfer apps directly to the device from an installation package if you do not want to use the Google Play Store. However, these installation packages are not always available. In general, Cyanogen Mod wants to be a very slim operating system and removes all unnecessary apps, so all the preloaded apps can be displayed on one page. 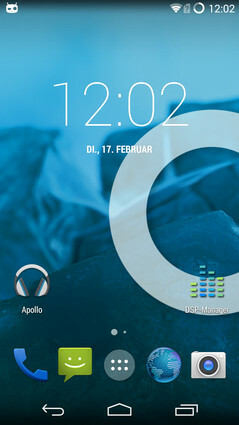 There are also replacements for Google’s standard apps like the "Apollo" player for music or voice recognition. The list of features is expanded by the "DSP-Manager", a slightly laborious name for a system-wide equalizer that gives you comprehensive settings for the sound output via speakers and headphones. The smartphone storage can be completely encrypted. 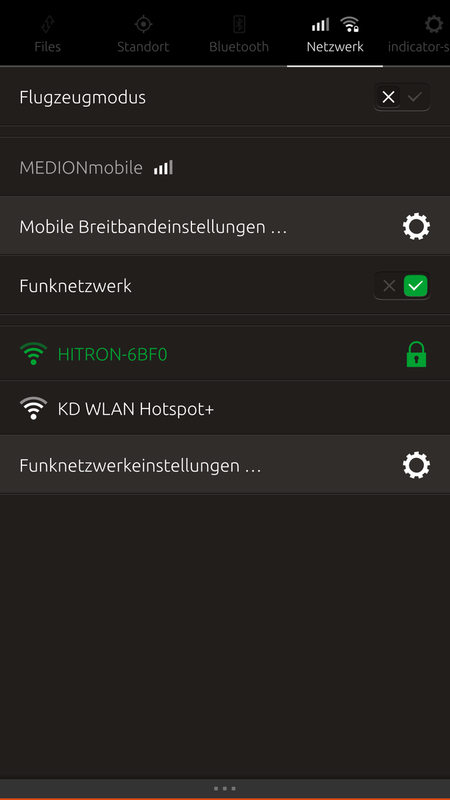 This feature was taken over from Android, but it does not reduce the impact on the security: It is not that easy to access the storage when you have lost your smartphone. Secure messages are integrated into the service "Whisper Push", even though you will have to register for it. After that you can send encrypted messages. It is also possible to activate a limit for the maximum number of messages an app can send in 30 minutes without notifying the user, so you can interfere if necessary. 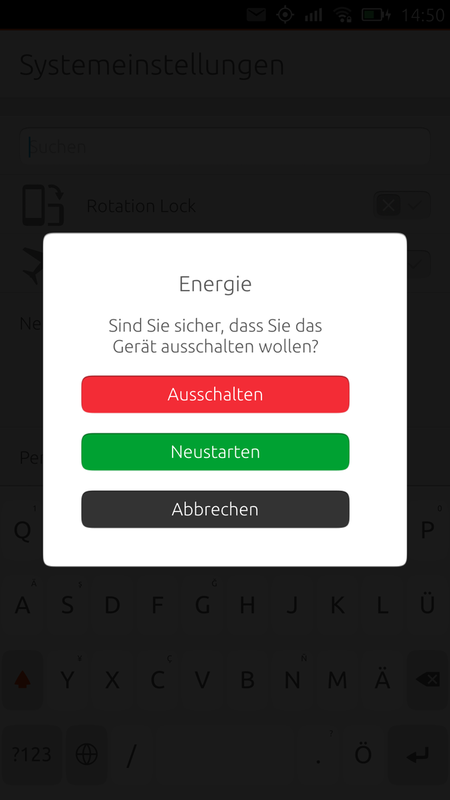 You can display information about the owner on the lock screen, so the smartphone can be returned if you lose it, and you can deactivate that passwords are visible. Cyanogen Mod is an open source operating system with a huge community and is managed by the non-profit Cyanogen Mod LLC. However, now there is also the Cyanogen Inc. that distributes the OS commercially, which has resulted in controversy among the community. There was also the news at the beginning of this year that Microsoft has invested in the company to create an Android version that would run on Microsoft devices. Overall, the security features are quite comprehensive. The open source code as well as the experienced and large community can somewhat ensure that commercial interests do not compromise the user privacy. You could say that Cyanogen Mod is the complete opposite to the approach of Firefox OS: While Mozilla uses simple features and a limited number of options, Cyanogen Mod even expanded the already quite complex Android by several new features. The operating system is so close to Android that the design and the handling are almost identical, so it is a perfect solution for users who do not want to get used to a new system. Cyanogen Mod is therefore a very good alternative for Android fans that are worried about their data. Users that missed an equalizer in the OS will be happy too. Cyanogen also has the almost unbeatable advantage that you can access millions of apps in the "Google Play Store", even though with some workarounds. This means Cyanogen Mod requires some basic knowledge about the technology or good instructions from the Internet, but you do get a comprehensive Wiki and there is also the huge community. Thanks to its similarities to Android, the Cyanogen Mod is probably the most sophisticated alternative to the established operating systems and it even offers extended features. Android 5.0 is available as Cyanogen Mod 12 by now, but not for many devices. The Linux distribution Ubuntu, which is supported by the British company Canonical, has been available since 2004. It is one of the most widely used distributions and is even used by some companies and government agencies. In 2011 Canonical announced that they were looking into the support for mobile devices with touch inputs, but the first stable version of the mobile operating system was launched at the end of 2013. You should not confuse Ubuntu Touch with "Ubuntu for Android", which could be installed on Android devices as a second operating system. The latter was also designed to connect the smartphone with a display to get the full Ubuntu desktop user interface. In the meantime, the development of "Ubuntu for Android" has been discontinued in favor of "Ubuntu Touch". You will find familiar control elements if you already know Ubuntu from a desktop system. The system design is pretty simple because the app view can be limited by categories. Also clearly arranged: The settings. 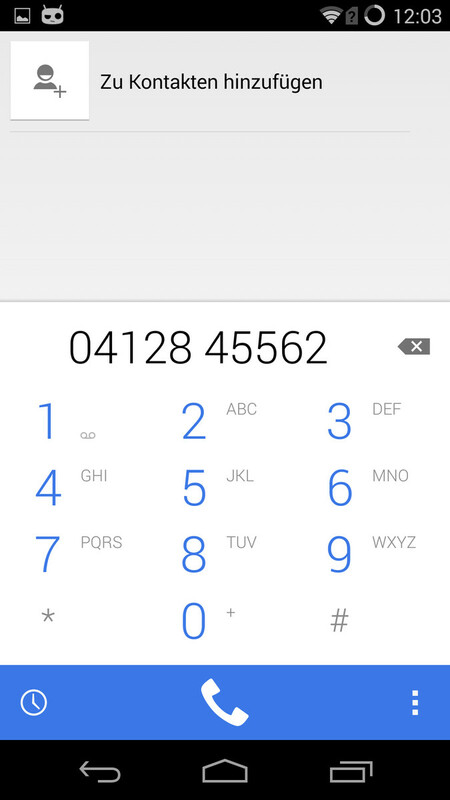 The Phone app is not exceptional. There are not many questions about the contact management, either. Many settings can be comfortably accessed via drop-down menu. It is not really logical that the screen brightness can be adjusted in the "Battery" settings. 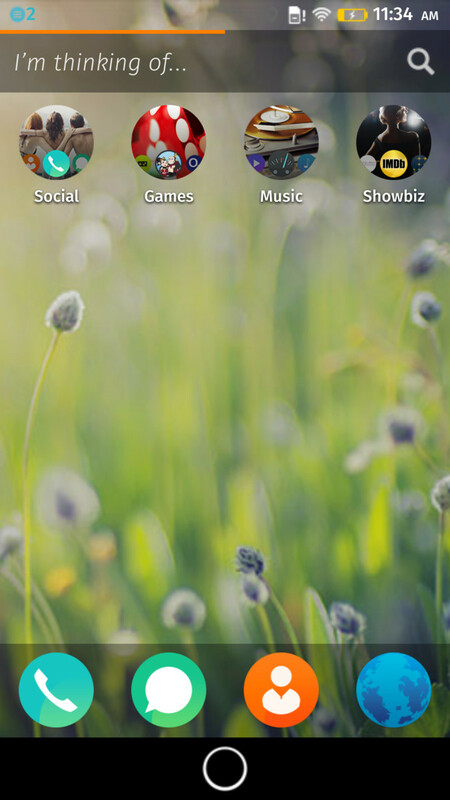 You can set up several fullscreen widgets at the left, including online shops or Wikipedia, for instance. 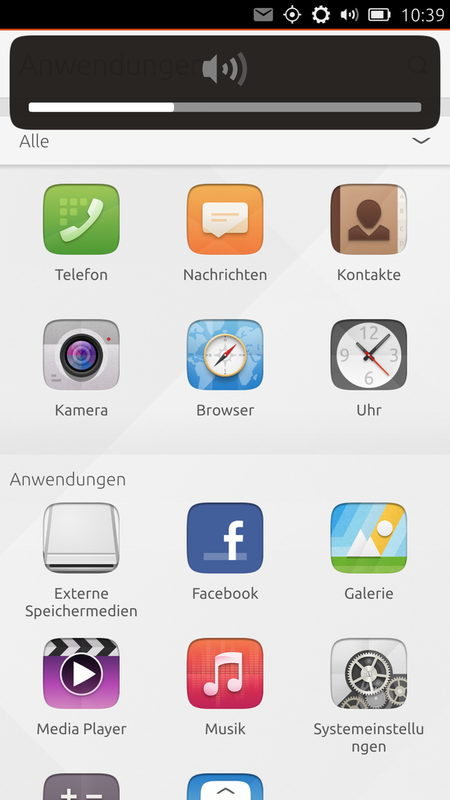 Ubuntu Touch is stable and interesting, but does not offer enough features at the moment. The handling of Ubuntu Touch is explained in a very short tutorial when you launch it for the first time. After that you will have to learn it by yourself. However, the system is quite intuitive, especially if you have already had a smartphone with one of the popular operating systems. Generally, Ubuntu Touch does not have any on-screen or hardware buttons, instead, actions like "back" or "return to home screen" are triggered with swipes from different sides of the display. Swiping from the top – like in all the other popular systems – will open the notification center, which also looks very similar to Android, Windows Phone and Co. A swipe from the bottom opens options for the current app, but there is also an additional gear wheel with settings in the upper right corner, so it can be confusing to find certain options. We like the home screen that has a search function for installed apps and offers a grouping by categories. For example, it is possible to search for installed apps in the category "Communication". A swipe from the left activates the next preferred scope. 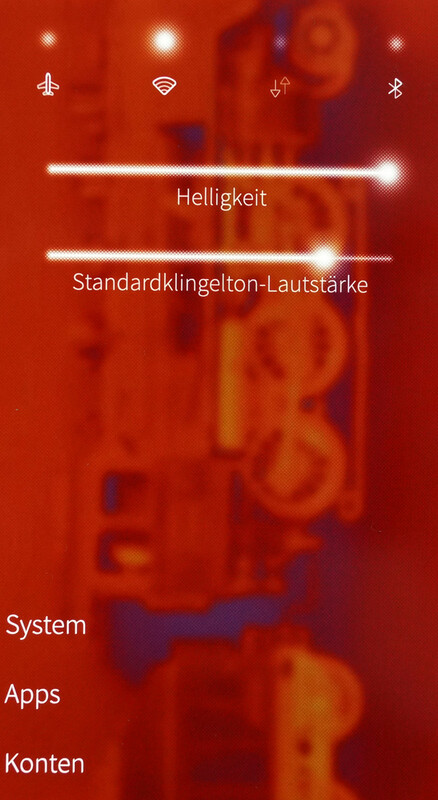 Scopes are widgets that you know from Android, and they can fill a whole page on the home screen. For instance, you can access the shop from amazon.com or your music library in combination with streaming services from the Internet with a swipe. We are already familiar with the app bar at the left side from the desktop version. It can show the current time and shows frequently used apps. 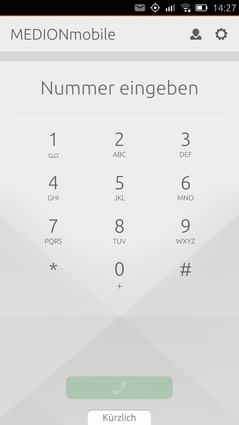 The apps for Ubuntu Touch are a combination of web applications and native apps. Web apps have the advantage that they can often just use the available mobile websites from large companies and only add some notification features and certain system features. This means that apps do not need a lot of space on the smartphone and you have to be connected to the Internet anyway to use online shops or cloud storage solutions. Native applications designed for smartphones can also be designed with tablet and desktop compatibility in mind. The selection is obviously still quite limited and you can only find about a dozen apps in each category. The situation is better for games, but popular games like "Angry Birds" or "Clash of Clans" are missing. At least there are some "Flappy Bird" clones. However, the developer community is actually large and active, which is also apparent when you look at the many unofficial apps such as "YouTube" or "IMDB". Overall, a previous Android user will only be happy with the app selection if he never used that many apps before, all other users will miss popular apps. Ubuntu is a free Linux distribution and you can basically access the whole source code, so anyone with the necessary skills to check the code can discover possible backdoors for intelligence services or hidden data collectors. This has been proven by Ubuntu users who actually found a feature in the source code of the Ubuntu desktop version that sent anonymized user data to Amazon. The desktop search was extended and automatically showed results from Amazon, so there was a lot of criticism for Canonical. However, this "feature" is supposed to be removed from the new desktop version as well as Ubuntu Touch. 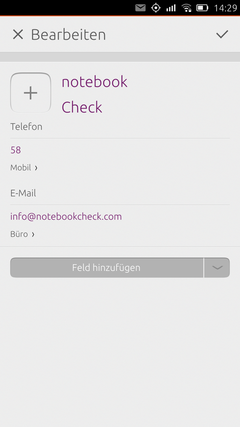 Ubuntu Touch offers a full encryption for the storage as well as an additional encryption of the personal user data. AppArmour security system ensures that applications can only access system resources that they really need. The access can be protected via a PIN code or a password. More possibilities are currently not available, although apps can implement accessibility features, like predefined patterns, facial recognition or fingerprint scans if the smartphone supports these technologies. 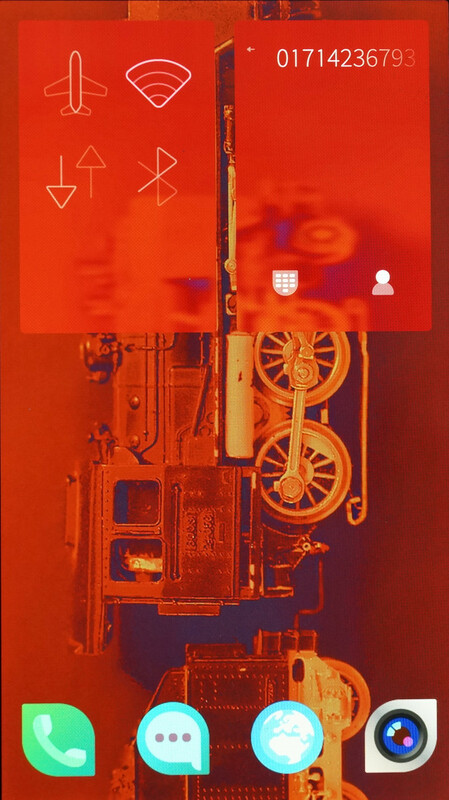 Ubuntu Touch is certainly very interesting for users that already use Ubuntu on the desktop. The mobile operating system does not only have a similar user interface, but also apps that can be used on all devices. In terms of security, the open source code is certainly an advantage since the community can find security holes and spyware very quickly, like that from Amazon. The complete storage encryption is also an effective protection of your own files if the smartphone gets lost or is tapped into via the Internet. The handling is smooth and quite intuitive, but there is still room for improvement at some points: Some apps that already run in the background open with a slight delay if you click on the symbol. We liked the "Scopes" that help to access frequently used apps as fullscreen widgets. There is an active community for apps, but the number of original apps is currently low. The web apps have some advantages for the system and the developers, but many users will prefer a native Facebook app over the mobile website with its somewhat unwieldy design. Do you want to compete with the large mobile operating systems or do you prefer a niche solution? This was probably a main question for the developers of Firefox OS, Ubuntu Touch, Sailfish OS and to some extent, probably Cyanogen Mod before they started their projects. The results are actually quite different: While Firefox OS uses the power of existing web technologies on cheaper smartphones with a limited set of features, Ubuntu Touch is primarily designed for Linux fans and Sailfish OS is a solution for individualists that want a nice design. Cyanogen Mod is probably the best solution within our comparison for the majority of users because of the Android basis: The easy switch from Android, the great set of functions with many security features and the stable software create a nice package. It is definitely fun to try a new operating system and expand your horizon. However, currently there are not many real alternatives for the large app selection of Android and iOS. The good news: You can find stable mobile operating systems besides Google, Apple and Microsoft if you do not need that many features or if you can live with the mobile websites. They certainly create a fresh experience and we are quite sure that everybody wants to try it out at the next party.